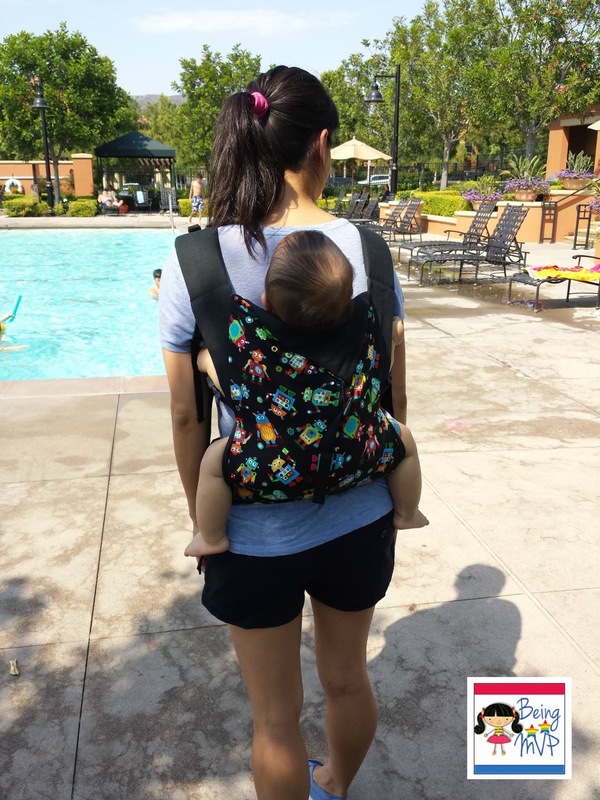 being MVP: Action Baby Carriers & Giveaway! Action Baby Carriers & Giveaway! Someone will be 11 months at the end of the week and he is growing up too quickly. I am a baby wearer through and through and since Mason is getting longer, I sometimes find it difficult to do some things when I wear him in front. Thus, I was excited to try the Action Baby Carrier that arrived for review. The toddler version is perfect for babies 15-45 lbs. The robot print is fun and quirky however the black fabric does pick up lint. I like that the body of the Action Baby Carrier is long (approx. 21") because in some of my carriers, Mason seems like he can fall out when leaning over the side. The hood is also pretty large which is nice. This soft structured baby carrier is pretty comfortable to wear. First put the waistband on and click the buckle, place child on back and pull straps over arms and clip at chest. Mason seems to be comfortable in the Action Baby Carrier because the seat area is generous in width and he can choose either to cuddle inside the carrier or place his arms out of the carrier. There are no raw seams that can cause irritation and the buckles are easy to use. When using the front carry, you can criss-cross the back for a snug fit. I wish there was a pocket of some sort that I can slip small items into i.e. credit card, keys, when I run somewhere quickly and don't want to haul the entire diaper bag. Otherwise, this carrier is lightweight, doesn't cause backaches and is wearable by most sizes of people. Plus, it comes in many beautiful prints as well as custom baby carriers where you send in your own fabric! Buy It: You can purchase a Toddler carrier from $95-$124. Make sure to connect with Action Baby Carriers on Facebook and Twitter! One Winner will Receive Choice of Action Baby Carrier! I would choose the Canyon print toddler carrier. :) Thanks for the chance! I love the Robin's Egg carrier! i would love the canyon toddler carrier! they are so cute! I would pick the Robins Egg! I love the robin egg print! I would choose the Canyon print toddler carrier! Thanks so much for the fantastic giveaway! I LOVE the ROCKY carrier!!! I want a toddler carrier! I like the robin's egg toddler carrier. It looks like the giveaway is just for the baby carriers, and so I'd like that in robin's egg, too. Also camper is cute. Snowberries, Happy, or Canyon (they're all pretty cool)! I'd like the rocky toddler carrier. I would love the camper carrier! i would love the galaxy toddler carrier! thanks so much for the great giveaway! I would love the cadence or the galaxy toddler carrier! I'd choose the Happy one. Love the print! I want the Robins Egg. 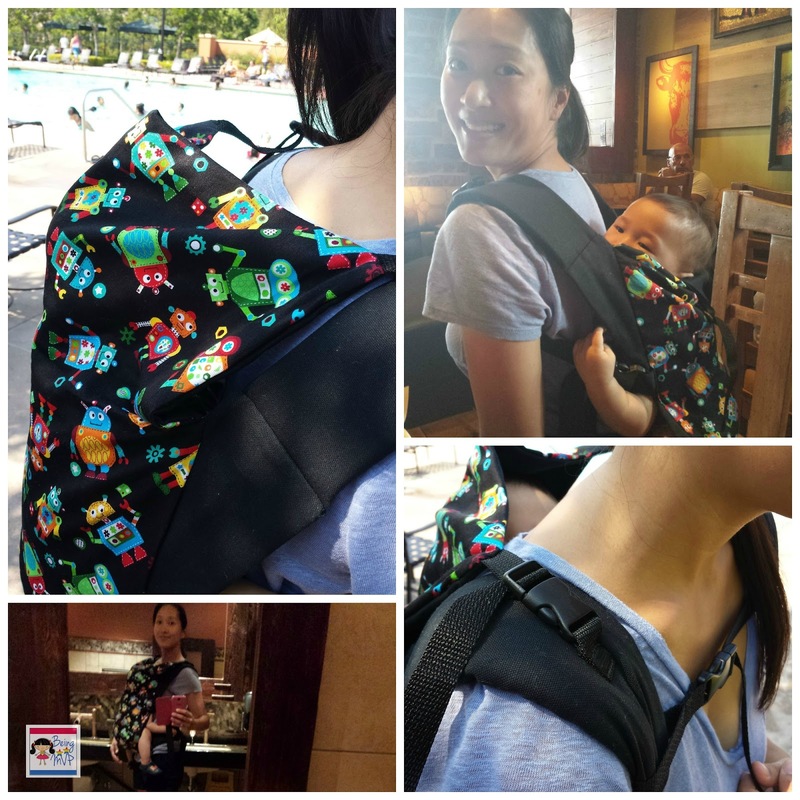 I love the rocky toddler carrier! I like the camper carrier! I would love the Cadence baby carrier. I love the Snowberries carrier! They have a lot of pretty ones! I think I would choose Cadence. I love the Cadence design! I'd pick the camper in toddler size! I love the Cadence print! Robin's egg would be best for us. Camper, Canyon, Seaside, or Robin's egg. I like those the most! I love the canyon toddler carrier. I like the Snowberries carrier! I would choose the Snowberries! It's so bright and cheerful! I like the classic black ice blue carrier! The Camper is my favorite print!